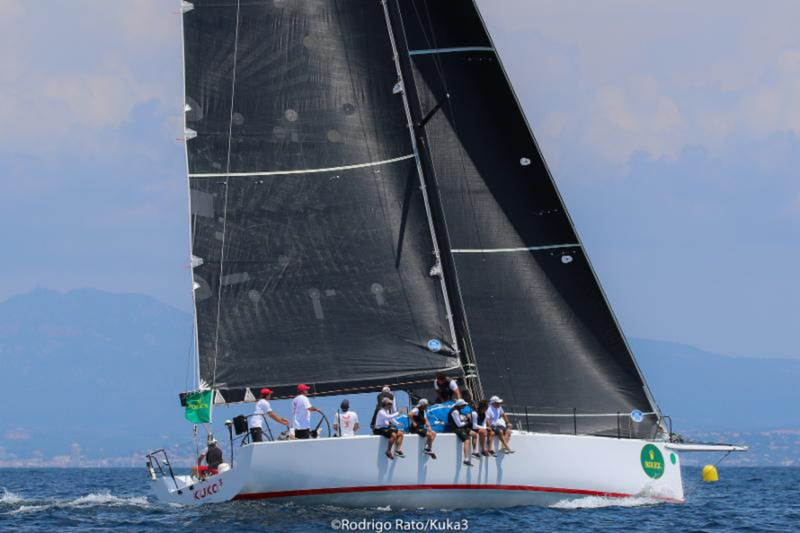 "This will be my first Atlantic crossing and the first part of a project including the RORC Caribbean 600, the Transpac and the Rolex Sydney Hobart," commented Kuka 3's owner Niggeler. "The first few days will be very important with difficult tactical choices which could decide the outcome of the race. Our aim is to do as well as possible as we have a competitive boat and it is up to us to get the best out of it." Kuka 3 has a highly experienced crew, including Italian navigator Andrea Caracci (11 Mini-Transats) and Spanish Watch Captain Gonzalo Araujo (Volvo Ocean Race and TP52). Kuka 3 will be skippered by Spain's Roberto 'Chuny' Bermudez de Castro who has raced 500,000 nautical miles, including seven round the world races, winning the 2014-15 Volvo Ocean Race with Abu Dhabi Ocean Racing. "I have lost count of the number of times I have raced across the Atlantic, but it is still a very special experience," commented Bermudez. "Competing with teams in the middle of an ocean, sometimes in difficult conditions, is a real challenge that I love. For Franco (Niggeler) this will be his first experience of racing across the Atlantic. He has a great spirit, as does the whole team." Teams from Scandinavia will also be racing in the 2018 RORC Transatlantic Race, including Henrik Bergesen's Norwegian Class40 Hydra (Oslo) and Arto Linnervuo's Finnish Xp-44 Xtra Staerk (Espoo). Hydra is one of the latest generation Class40 designed by Owen Clarke. Launched in 2017, Bergesen's Hydra was 7th in the 26-strong Class40 fleet racing Two-Handed in the 2017 Rolex Fastnet Race. 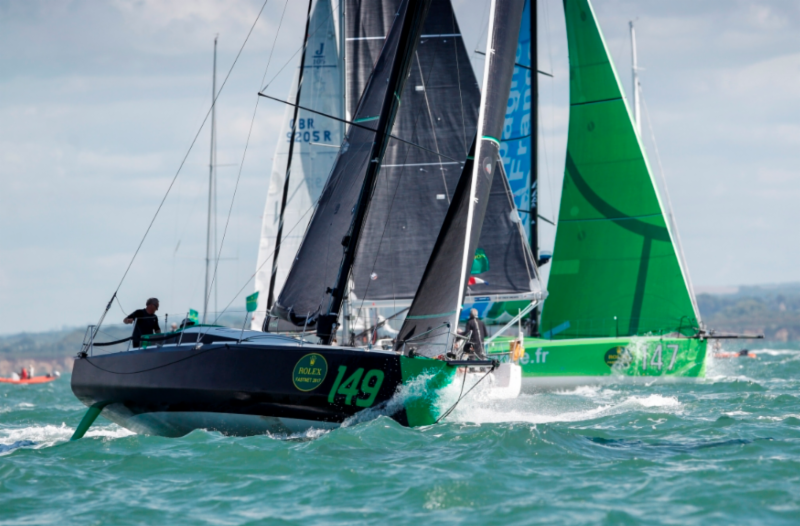 For the 2018 RORC Transatlantic Race, two British Class40 experts will be on board; Paul Peggs and Pip Hare. Skipper Tristan Kinloch, with plenty of big boat experience, will lead the Hydra crew. "This is the first RORC Transatlantic Race for all the crew, but between us we have crossed the Atlantic many times," commented Kinloch. "We are a new team, and for myself and the owner, this will be by far the longest we have spent racing Hydra. Being constantly wet unable to shower and eating freeze dried food for two weeks will be the biggest challenge!" 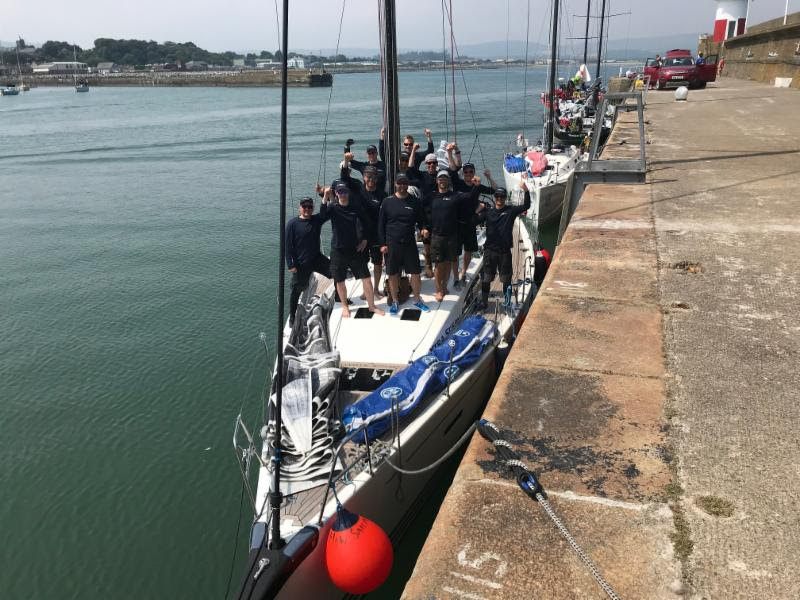 "We won IRC One in our first race in the 2018 Volvo Round Ireland Race," commented Linnervuo. "We aim to race across the Atlantic fast, but safely. When racing, we always want to win, but also have fun, paying attention to keeping a good atmosphere on board. We expect tight competition offered by the great teams participating in the race. After the RORC Transatlantic Race the team is planning to participate in the RORC Caribbean 600, Rolex Fastnet Race and Rolex Middle Sea Race."